The Hal Leonard Ukulele Method is designed for anyone just learning to play ukulele. 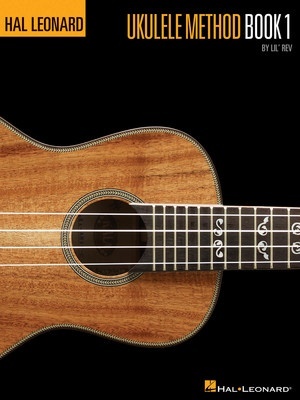 This comprehensive and easy-to-use beginner's guide by acclaimed performer and uke master Lil' Rev includes many fun songs of different styles to learn and play. Includes: types of ukuleles, tuning, music reading, melody playing, chords, strumming, scales, tremolo, music notation and tablature, a variety of music styles, ukulele history and muchmore.